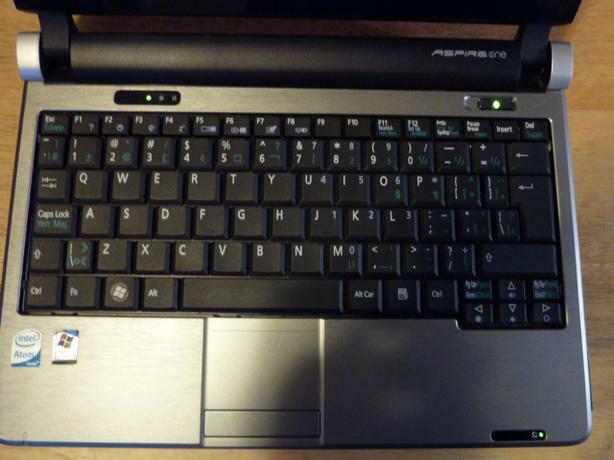 Nice little compact Acer Aspire one, model d250-1233. Works well. Windows XP, Intel Atom n270 1.60GHz, .99 ram, 150gb with 125gb free, battery good with charger.